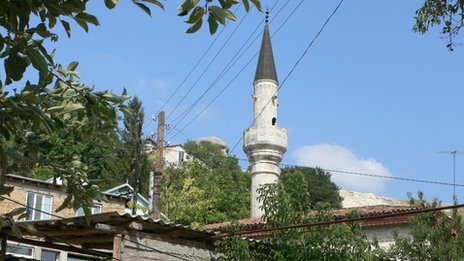 CRIMEA, Ukraine -- Islam is being politicized in an unusual and somewhat unexpected way in Crimea. 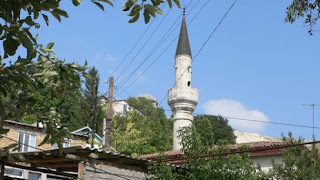 Certain Crimean Tatar leaders have been using the existence of Islamic groups on the peninsula to advance their own communal demands even as some Ukrainian and Russian leaders have been invoking the existence of those groups as a reason for turning such demands down, according to a detailed new study of Crimea by Andrey Baranov, a political scientist at Kuban State University, in the current issue of the Moscow Institute of Sociology journal, “Vlast”. Their influence is far greater than would otherwise be the case were they strictly playing a role in ethno-political schemes of mobilization and demobilization. According to the last Ukrainian census, ethnic Russians formed about 60 percent of the population of the peninsula, ethnic Ukrainians about 23 percent, and Crimean Tatars about 10 percent. Twenty years ago, Crimea had relatively few religious organizations, but it now is one of the leading areas in Ukraine in that regard, largely thanks to the explosive growth in the number of Islamic groups. Orthodox Christian groups form 40 percent of the registered groups, Baranov says, while Islamic congregations and groups form only 28 percent. But if one includes the 600 unregistered Islamic bodies, the Muslims now equal or exceed the number of Orthodox Christian ones. Like the ethnic communities they serve, these two religious groupings are located in very different places: the Orthodox serve the ethnic Russians and the Ukrainians in the peninsula’s cities, while the Muslim ones support Crimean Tatars in rural areas. But just as the Orthodox leadership is involved in pushing the political goals of its followers, so too the various Muslim groups seek to promote the values of their community. That means that Islam has been politicized not only over big issues like the future status of Crimea, but also over smaller ones like land ownership, road signs, and the role of institutions that seek to bridge the gap between the three ethnic groups. Baranov reports that this process has been intensified by the fact that there are deep splits within the Muslim community between the traditional Crimean Tatar Muslims who still dominate the scene and the appearance of radicalized Islamic groups. He suggests that the radicalization of Islam in Crimea began in the mid-1990s with the arrival of separatists from Chechnya who formed the Imdat organization in 1995, which organized protests in Sudak and continues to function illegally. Another radical Islamist party, Hizb ut-Tahrir, made its appearance in Crimea at the end of the 1990s. Some years later, Mustafa Cemel, the leader of the Crimean Tatars, said there were some 500 to 600 Wahhabis in Crimea, and the local mufti complained that the Russian authorities had given “a green light” to the Islamists even as they continued to block the traditionalists in order to give the Crimean Tatars a bad name and justify ignoring their demands, a rare description of what Baranov implies is a far broader phenomenon. But the most important reason for the politicization of Islam in Crimea, the political scientist said, is the fact that people on both sides of the religious divide see religious conflicts as having their roots in political and national disputes and in the contrasting economic interests of those involved, according to the findings of one of the rare polls taken on this issue in Crimea in recent years. Moreover, respondents in that poll, again on both sides, were inclined to blame foreign political and social structures as having greater responsibility for religious and ethnic conflicts on the peninsula than local groups. That survey also found that the level of criticism of those in power in Crimea did not correlate positively with levels of religiosity on the peninsula. Such attitudes would appear to open the door to a more peaceful future, but there is a powerful reason why “the radical Islamist project [remains] capable of destabilizing the balance of ethno-confessional interests”. Young Crimean Tatars, those aged between 17 and 36, believe that their community will be able to establish an independent country within 20 years, a belief that will inspire them, frighten the Russians and Ukrainians, and encourage both sides to continue to play the Islamist card.